When I was 4 I fell off the bars during my gymnastics class and sliced by chin open. My mom rushed me to the hospital where I had stitches. Then, a few years later, I was running downhill to a friends house, and I fell again on the same spot cracking it open again! Stitches once more. I didn't really care as a kid about scarring or anything and honestly now you can't even see the scar at all. But, for some reason, I grow a few hairs on the spot where I cut my chin all those years ago. I usually cut them off with scissors every few weeks, It makes me feel really self conscious. 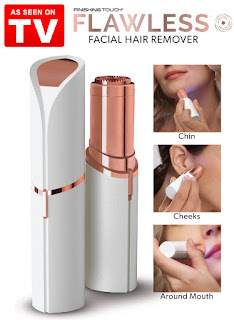 Recently I came across a product called Finishing Touch Flawless which is a little device that removes unwanted hairs from the face of women. I decided to give it a try, and I am so happy I did! Not only was it quick and painless, but it's been a few weeks and the hairs haven't grown back yet. It's going to make me feel a lot more confident knowing I don't have a hair that I don't want hanging off me. Finishing Touch®, the maker of the world's #1 women's facial hair removal device unveiled today its revolutionary new product, Flawless™. 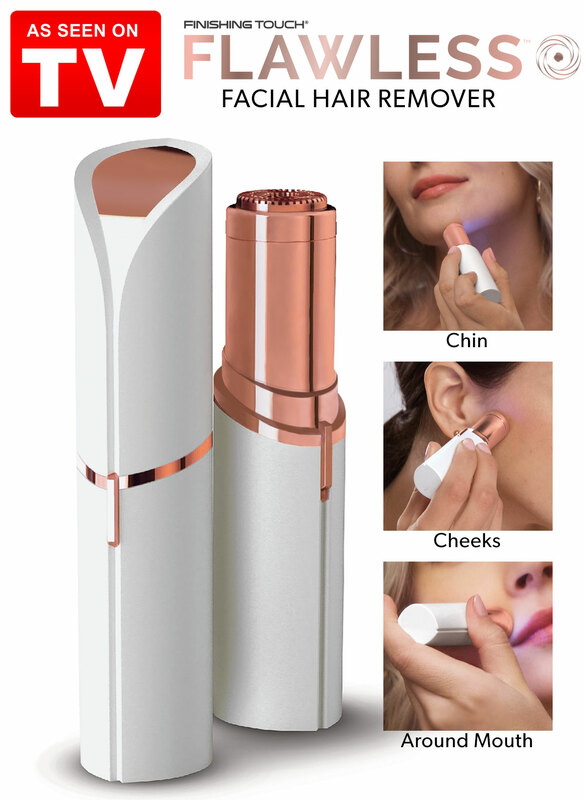 The innovative facial hair removal device looks like a high-end cosmetic lipstick but it instantly and painlessly erases unwanted hair and peach-fuzz from lip, chin, or cheek, without irritation, redness, or ingrown hairs. Poised to make the old, archaic hair removal methods like plucking, depilatories, or waxing obsolete, Flawless™ uses a revolutionary ButterflyTM Technology that microscopically erases hair. Neatly and discreetly housed under the 18 karat gold-plated head, the ButterflyTM Technology never touches delicate facial skin. Dermatologist approved, the Flawless 18-karat gold-plated eraser head is hypoallergenic, safe on all skin types and tones, and gentle enough to use every day. A built in light ensures that no hair is left behind. Finishing Touch Flawless™ (SRP: $19.99) is available at Walmart, Walgreens, Bed Bath and Beyond, CVS, Rite-Aid, Sally Beauty, Ulta. For additional information, visit FinishingTouchFlawless.com.